This exquisite AB Chase upright was made in 1919, Boston. The exterior is refinished fruitwood. 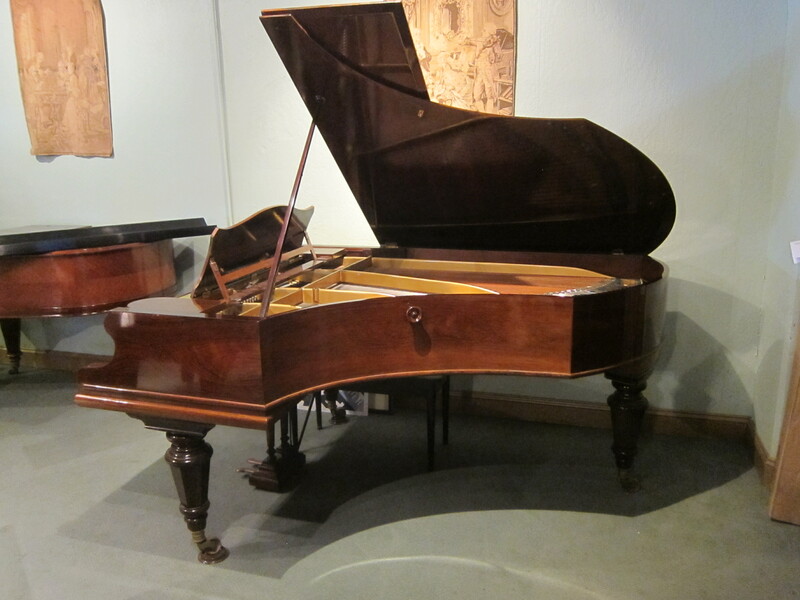 Its interior is fully restored – restrung, new hammers, new dampers – with perfect Ivory keys. It is in excellent condition. 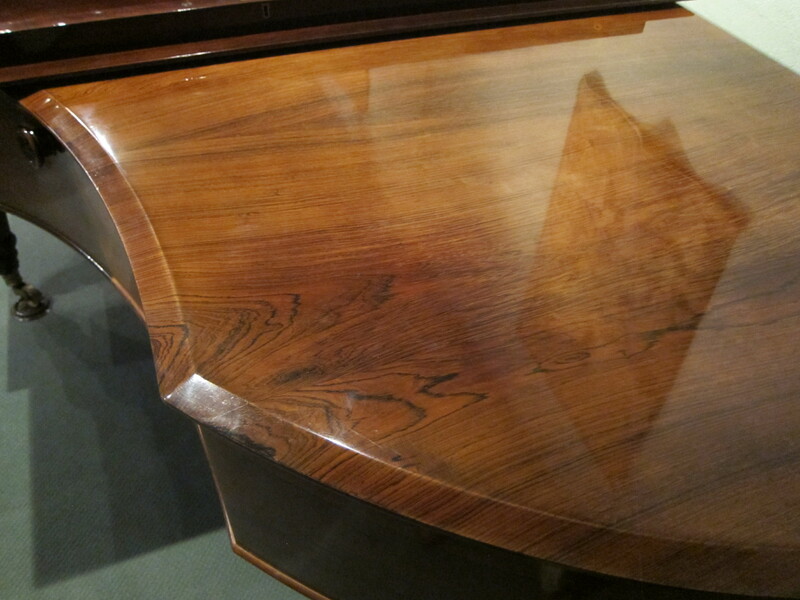 Steinway & Sons, serial # 93334 Model “B” grand piano raised on three square, tapering fluted supports. The bleached mahogany case is hand painted with pastoral scenes and classic motifs, floral decorations and leaf-sprays around centered vessels. Floral decorations adorn the trims of the case and are set off by elaborate gilt wood carvings of filigreed motifs and scrolls on the music desk, legs and lyre. 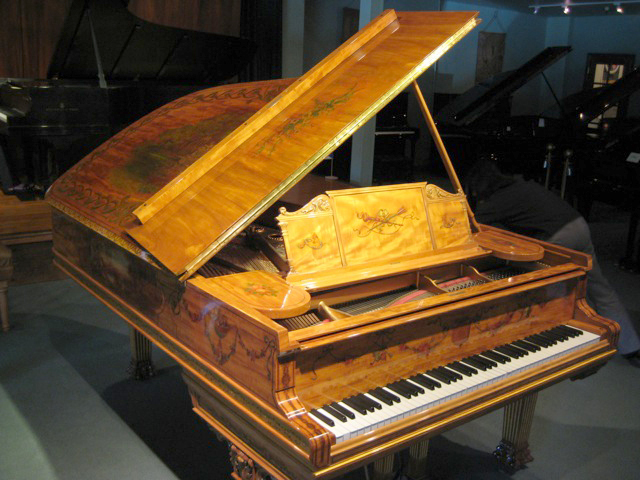 This piano is completely restored by Klavierhaus in New York City with the original ivory keys still intact. 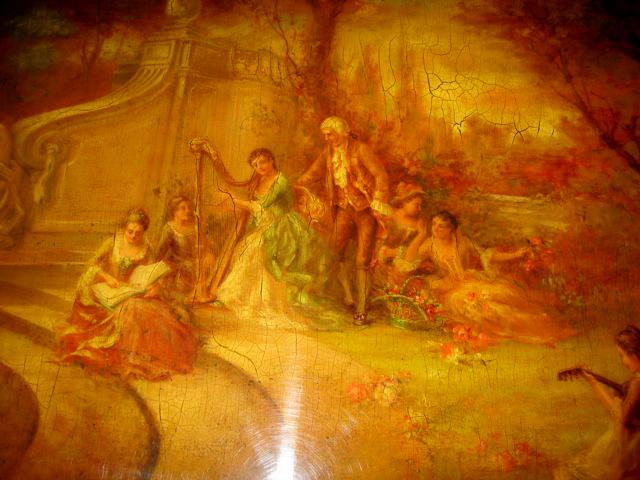 The piano was painted by English-born artist Arthur E. Blackmore, signed and dated 1899. 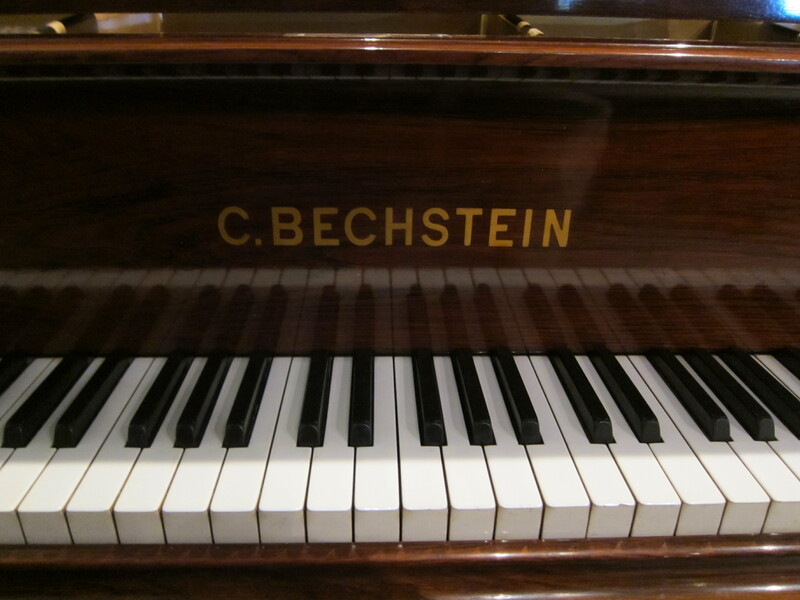 Blackmore was employed as a Steinway artist for twenty years before succeeding J.Burr Tiffany, of the renowned Tiffany family of New York, as head of the art department at Steinway in 1913. Blackmore embellished only a small number of Steinway pianos, several of which are now exhibited throughout the United States.